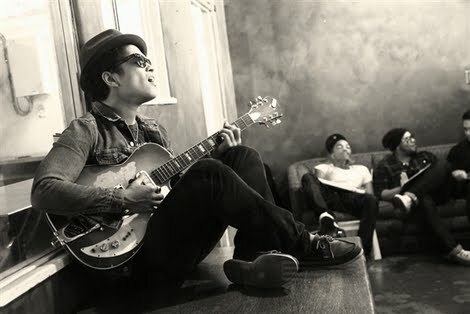 I love Bruno Mars, if you must know. He is my R&B King! He has a smooth soft singing voice that is good for my ears. He could hit the crazy high notes and still sound so amazing. And when he sings any happy love song I feel a smile creeping up on my face. He does sing sad songs as well. Two songs that break my heart every time I hear them are called "Talking To The Moon" and "Who Is". But for this post, I've decided to share a cute happy song instead with you guys. Afar - my dear loyal reader - I hope you like this one. And for you all lovely people who have been following me all this while, please turn up the volume and dance! 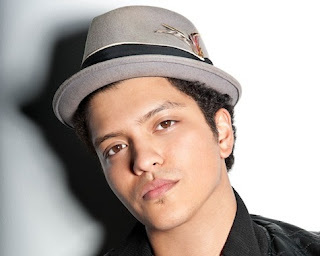 His real name is Peter Gene Hernandez - an American singer/songwriter & music producer. He was born on October 8th, 1985! So his zodiac sign is the same as mine! Sweet! He was born and bred in Waikiki, Hawaii and he's a wonderful mix of Puerto Rican and Filipino. His family is comprised of musical fanatics as according to Mr.Mars, they all sing and play instruments all the time. Here's a black and white picture of him strumming his guitar.